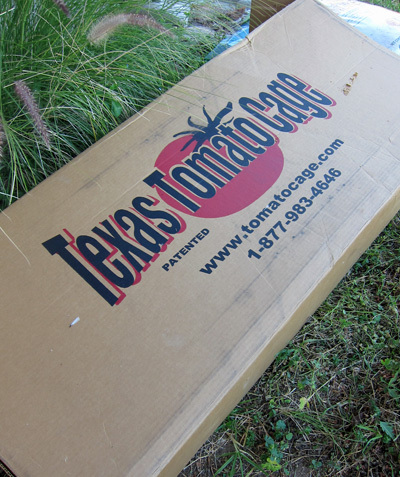 Staff recently purchased top of the line tomato cages. They came in a large cardboard box. 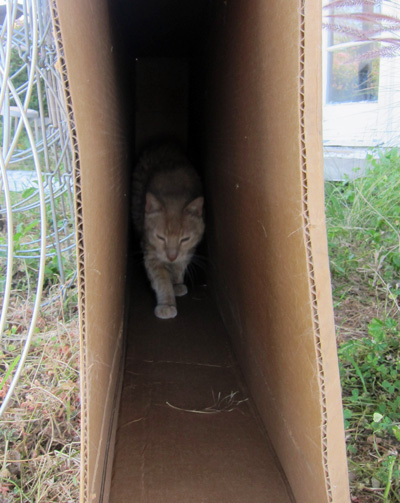 In a unique coincidence, the dimensions of the box closely correspond to those of a Jeff-sized hallway. Naturally, Jeff had to go in and investigate.